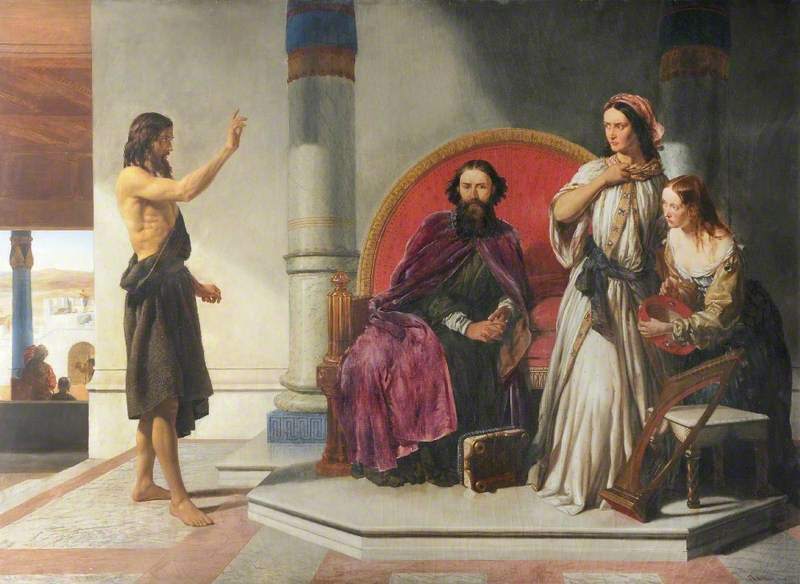 John the Baptist is Jesus’ family and friend. While many folks questioned and doubted who Jesus was, John believed. Now we see John at times, under the stress of the moment, doubt as well, we see though, that John knew who Jesus was. Jesus loved Him. And John loved and followed Jesus. And we see in this passage that John is murdered by the king. I think that there are several things that we can learn from this passage today. First, we see that just because we faithful, it doesn’t mean that we wound face troubles. John was faithful. John did what was right. John stood for Jesus, John stood up against what was wrong. And because of that John was struck down by the king. Sometimes, doing what is right doesn’t mean that you won’t face troubles, in fact, it’s the other way. Doing what’s right may increase your troubles. So today, if you face opposition or trouble, don’t get down. Don’t get discouraged. It means you are being faithful. In this world we will face troubles, but take heart. Jesus has overcome this world. Don’t worry. Trust! And then we can learn a lot from looking at Herod. Two things jump out to me about him looking at the text. First, he “knew” what was right. Notice he like to hear John preach. He knew he was a prophet. He knew his words word true. He knew that was John was saying was right. He knew it. But yet he didn’t want to do anything about it. He didn’t want to change. It isn’t enough that we know what is true. We have to follow what is true. Herod knew what was true. He just didn’t want to follow it. And the second thing I notice is the danger of pride. He didn’t want to behead John. It grieved him. But yet, to not do that would have been embarrassing. It would have harmed his pride. So, he had to choose between doing what was right, or his pride. And he chose his pride. Pride is a dangerous thing. 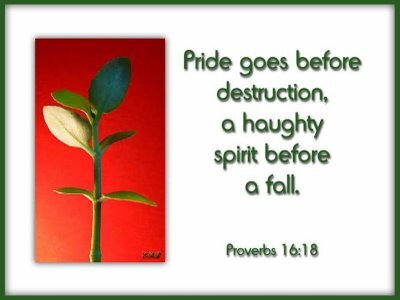 Proverbs tells us that the pride goes before the fall. Because of Herod’s pride, he choose wrong and did great harm. May we not make the same mistake today! Friday we’ll look at Mark 6:30-44. One of the things that can really trip us up in life is jealousy. That can be a very, very dangerous thing. And we are all prone to it. 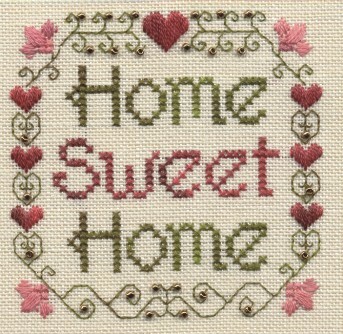 It can have material elements – oh they have that, I want that! It can have elements of money. It can have elements of relationships – we can be jealous of others families, or friends, boyfriends/girlfriends, spouses, whatever. We can be jealous of other’s jobs, or success or reputation, or a million different things that can plague us with jealousy. Joshua son of Nun, who had been Moses’ aide since youth, spoke up and said, “Moses, my lord, stop them!” But Moses replied, “Are you jealous for my sake? I wish that all the Lord’s people were prophets and that the Lord would put his Spirit on them!” Then Moses and the elders of Israel returned to the camp. Moses was the prophet for the people at this time, he was the one that the Lord spoke through. Now here are these others, that are beginning to prophecy and Joshua gets jealousy for him. He says, make them stop, that’s your job. You’re the prophet not them! It’s not right, you are the one that God speaks through. Joshua loved Moses and respected Moses and was jealous for him. We can all understand that. But Moses didn’t play along in that same way. Moses understood. What mattered wasn’t him or his pride, it was God being at work. So Moses, instead of getting jealous, focused upon how great it would be if all God’s people had that gift. He wasn’t worried about himself, he was worried about what God could in people and through people. 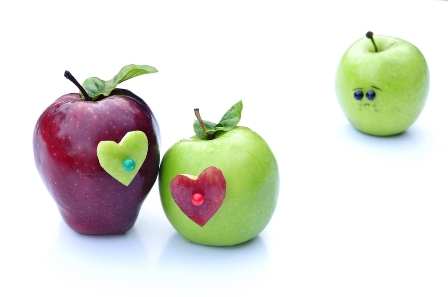 Jealousy isn’t just about earthy things it can also be about spiritual things. We as believers can be jealous of others. We as preachers can be jealous of other preachers. We as churches can be jealous of other churches. You want to battle jealousy in your life? Take the focus off yourself, and place it upon God. When we are looking at others and comparing them to ourselves, we will always be lacking or jealous. When we focus on God and what He wants, we see that I have what I have for purpose and so do you. And I’m not going to worry about me, or you, or any of this. I’m going to focus on God. And He’ll take care of us. The key to jealousy is our focus. Where is our focus today? This is big. Really big. We are called today not be ashamed of our faith in Jesus. We are called today to live boldly, live with confidence, live with peace, live for Jesus. We are called today to not be ashamed of the Gospel. But, be proud of the Gospel. The title that is most important to me today is not Reverend. Or pastor. Or even Husband. Or Father. Or Son. The title that means the most to me today is Christian. Because the title Christian makes everything else possible. For me to be the best pastor or husband or father or son that I can be, I must chase after Jesus with all that I am. Today, the title that has to mean the most in your life is that title of being a child of God. That has to have the most meaning. That is the title that everything, all things, they must flow from. You are a Christian. You are child of God. You are His. Don’t be ashamed of the Gospel. It’s the power of God in you, through you, and for you. Live boldly. Live for Him! Take His name with you, where ever you go. Live. Love. Serve. 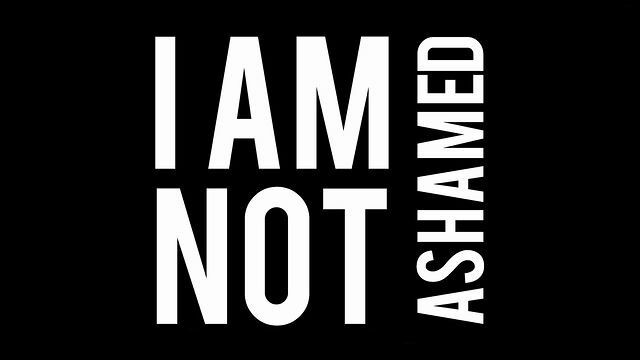 Don’t be ashamed, today, and each day! The suggested Old Testament readings the past few days have been from Proverbs. I’ve always loved Proverbs and Psalms. Dr. Frank Pollard, one of the best preachers I’ve ever known, used to always tell folks to read three Psalms and a chapter of Proverbs a day, it would really make a difference. And I believe that to be true. It hit me this morning one of the ways that pride brings forth destruction in my life. It looks like this. I need to be a better person. I need to be more faithful. I need to do more. I need to change. I need to be different. I need to. . . whatever. How is that prideful? Those look like good, Christian statements. How is that pride? It’s pride in that I’ve mistakenly though I can do it. I just need to bow up. I just need to do more. I can do it. I just haven’t. But I can. No, I can’t. Pride fools us in to thinking we are stronger than we really are. Pride fools us into thinking we are smarter than we really are. Pride makes us think that if we just want it enough, we can do it! That’s not what the Bible teaches. The Bible reminds us that through God, all things are possible. Yes, we can change. We can be different. We can do better. We can be new. We can be a new creation. We can experience all these things. But, not through our strength and will. But through God’s grace. Pride makes us think we can do it. And, as long as we think we can do it, we will never be able to do it. Only through His grace can we do any of it. Only through His grace can we be new and different. Only through His grace can we change. Only through His grace can we live. The pride goes before the fall. May we not be prideful today. May we remember that our true strength comes not from ourselves.